In Canada, when interacting with law enforcement, individuals have certain rights embedded in the Charter of Rights and Freedoms. These legal rights range from the right to talk to a lawyer, and the right to be free from illegal search and seizure. These rights are suspended when it comes to impaired driving. The justification being that, in exchange for your rights being suspended, more drunk drivers will be taken off the roads. Yet, not all roadside testing accurately reflects an individuals level of impairment. 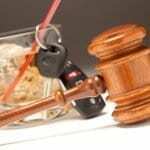 Impaired driving lawyers assist in ensuring that you receive fair treatment under the law. The criminal lawyers at Kahane law office assist individuals charged with impaired driving get a fair trial and, if guilty, fair sentencing. Most important though, the best defense and way to avoid an impaired driving charges and needing an impaired driving lawyer, is to ensure you never drive while impaired. During check stops, during ticketing for for speeding violations, or even after the individual stopped driving, authorization exists for police to demand an individual to provide a sample of their breath without having reasonable suspicion that the individual has alcohol or drugs in their system. The previous law required the police to have reasonable grounds to require an individual to provide a breath sample. Reasonable grounds including things such as, driving erratically, smelling of alcohol at a check stop, or admitting to consuming alcohol. Police do not need any reason to demand the breath sample now and, when asked, the individual must comply with the demand or face a very harsh consequence. If a police officer pulls you over, fewer options now exist for you. This means that your Charter rights under the Charter of Rights and Freedoms under the Constitution Act, 1982, face effective suspention when the police stop you and demand a breath sample with no grounds or reason. You will not have the right to consult a lawyer before you give over a sample of breath, and if you refuse, you will be charged with Refusal. Refusing to provide a breath sample, now carries a harsher penalty than convictions for a first offence driving while impaired charge. Refusal used to carry the same, or harsher, consequence as the charge for driving while impaired. The new law has made refusal more punitive because the presumption is that the individual is obstructing justice. Guilty verdicts for obstructing justice, in these situations, carries a fine of $2000, a criminal record and a driving prohibition. The current laws allow police to enter your home after you have stopped driving. This is allowed without a warrant. You must, on demand, provide a sample of your breath to the police. The new law also provides for drug-intoxication. More specifically, it incorporates the newly legalized cannabis into the new Criminal Code provisions. The law now looks at both the level of alcohol and cannabis intoxication. This means that an individual could face a combination offence. The statutory aggravating level, when combined, is 2.5 nanograms of THC and 50 mg of alcohol. There is not much clarity on how long THC impairment lasts or how it affects individuals on a case-by-case basis. THC is a complex molecule, more complex than alcohol. Few studies, completed by the government to understand its affects on driving impairment, exist at this time. Impaired driving lawyers anticipate the challenging of these provisions in Court over the years to come. Many cities and rural areas across Canada started to use a roadside drug screening device. This devise helps identify if an individual is driving with drugs in their system. The device is able to test for the presence of cannabis but cannot test for impairment. The system requires perfecting. A multitude of issues exist that call into question the accuracy of testing results. The old law was more understanding of individuals with chronic alcoholism. Many individuals were able to avoid a criminal record by demonstrating to the Court that they faced an addiction, they sought help, and they have completed or are completing treatment. These individuals still faced a driving prohibition, and a period of community supervision through probation, but they were able to avoid getting a criminal record. The new law is understanding of addiction, but will no longer discharge individuals with a Curative Discharge. Instead, on request, the Court sometimes allows an individual to delay sentencing while they complete treatment at a government approved treatment centre. The benefit of this is that the individual can apply for the interlock blow box program after their guilty plea is accepted. If charged with impaired driving under the new law, do not hesitate. Call our impaired driving lawyers today. This allows us to review your disclosure and ensure the proper handling of your case by police. An impaired driving conviction can affect your life in many ways. These include everything from hindering your career, to increasing your cost of insurance, to preventing you from traveling. Call today for a consultation. Reach us toll-free at 1-877-225-8817 (or 403-225-8810 locally in Calgary, Alberta), or email us directly here.